This mod adds a set of plate armor, boots and gloves, and a few scimitars. It also adds frequently spawning roaming PKers in the Border Zone with 99 combat stats, wielding hard hitting weapons, and in armor that makes them take negligible damage. They will aggro and kill anything in sight, including you..
Made PKers even more OP. Gave PKers random battlecries while they murder everything in sight. Fixed rune armor's helmet color. Added female mesh for the platebody and platelegs. Added rune tier plate armor. 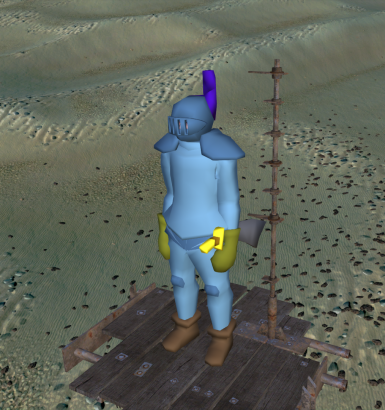 Added male mesh for Iron Platebody, Iron Platelegs, Iron Full Helmet, Leather Boots and Gloves, and Scimitars. Added a PKer spawn with a scimitar at the Border Zone. Ever wanted to get killed, looted, and left for dead by overpowered skulled PKers in Kenshi? Probably not, but I'm enabling that anyways. What about be crazy OP? 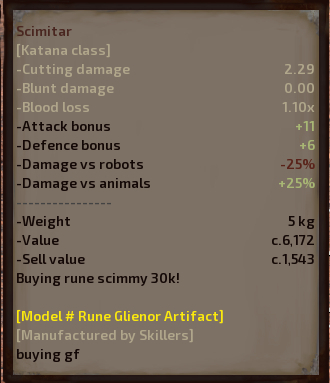 Adds rune armor and leather gloves to the wanderer start along with a spiffy scimitar (katana class) of variable quality. A PKer equipped with mod items spawns in the border zone.